Trademarks or service marks designated with the ® symbol are registered with the U.S. Patent and Trademark Office and may be proprietary in one or more countries or regions. Other trademarks and service marks belonging to ASGCO® “Complete Conveyor Solutions” in the United States and/or other countries or regions may be designated with the “TM” and “SM” symbols. Brands, trademarks and names of other parties, who may or may not be affiliated with, connected to or endorsed by ASGCO® “Complete Conveyor Solutions”, are identified wherever possible. 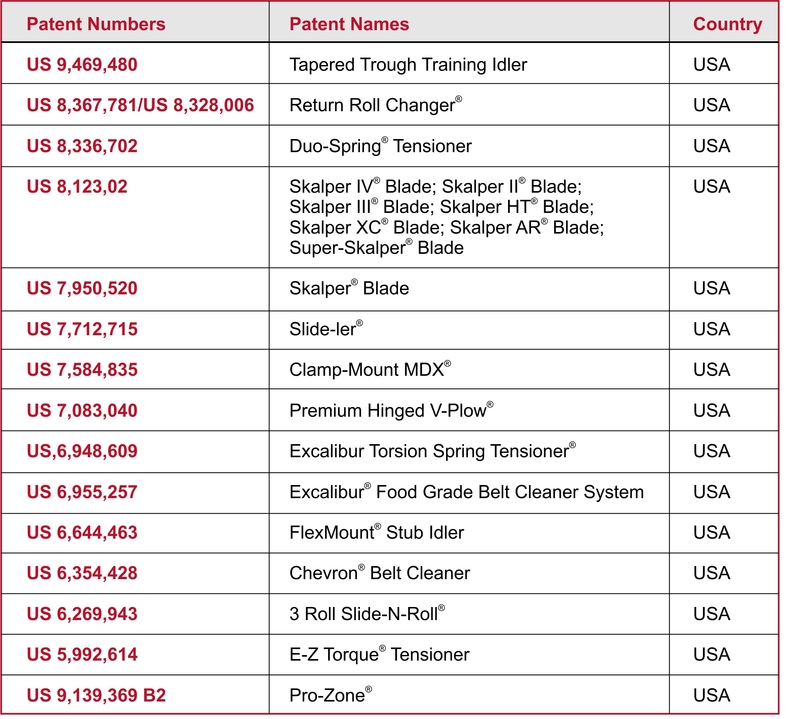 Any product, process or technology listed here may be the subject of intellectual property rights reserved by ASGCO® “Complete Conveyor Solutions”.